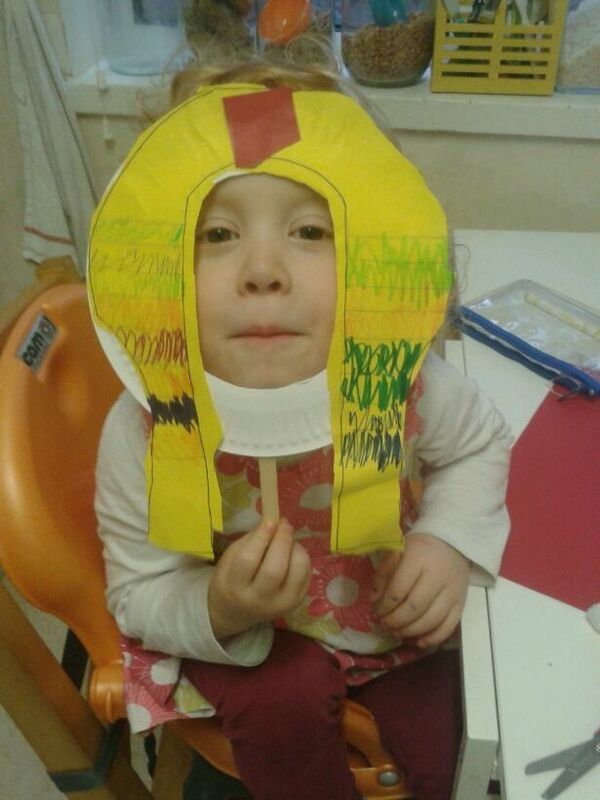 Pharaoh masks – they always want to be the villain. Your children might be breaking up for Easter today, or maybe, like my daughter, next Friday. I’ve been thinking about how I could teach the children leading up to Easter, a bit like I did at advent when my brilliant friends gave me their Pre-School Bible Overview Advent Calendar. I haven’t ironed out all the creases yet (I’m speaking metaphorically of course, I don’t actually iron), but I thought I’d post this now so that you might be inspired to come up with something yourself, or maybe even pinch and tweak mine (the metaphors are coming thick and strong now). I bought some Bible sticker books by Miles Kelly (My Bible Sticker Activity) from thebookpeople.co.uk, and they’re really good so I’ll use those as an activity each day. But if you don’t have the same sticker books, I’m sure you can Google craft activities or just print off a colouring sheet for the relevant Bible story. Or maybe you have a Bible activity book with a suitable page that hasn’t yet been filled in – I hope so! Here goes, please find my little teaching outline below. BPSB is the Big Picture Story Bible by David Helm; BB is the Beginner’s Bible (from the Good Book Co I think?) and JSB is the Jesus Storybook Bible by Sally Lloyd-Jones. Sorry if there are bits missing or it’s unclear – I have another week to work on it but wanted to post this today in case your children are off next week. Each day we will hang up a plastic egg (we have loads left over from a church egg hunt) with the day’s message written on it (using an address label probably, nothing fancy) in order to keep track of what we’ve learnt, and to make it a bit festive.